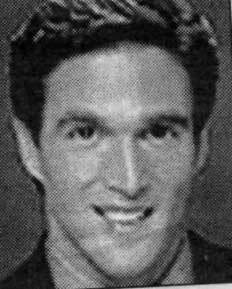 Sean Kimerling, weekend sports anchor for WPIX-TV Channel 11 in New York, died on September 9, 2003, at Memorial Sloan-Kettering Cancer Center after a short bout with testicular cancer. He was 37. Kimerling grew up in Croton on the Hudson in Westchester and graduated from Georgetown University. After receiving his Masters degree in broadcast journalism from USC, he started his sportscasting career at Torrance Citicable in California as a sports director and anchor/producer for a weekly highlights show. After stops in Denison, Tex., at KTEN-TV and KOCO-TV in Oklahoma City, Okla., he returned home when he was hired by WPIX in December of 1997. Aside from his duties as weekend anchor, Kimerling also worked as a roving reporter on Channel 11's New York Mets telecasts.